Play On: Pittsburgh Penguins ML. Two of the hottest teams in the NHL will clash in Pittsburgh tonight as the Penguins will entertain the Canucks. The visitors have won four of their last five, but will play their fourth road game in seven days and fatigue might become an issue here. The Pens have won all of the last four meetings between the two teams and are looking to improve on their already impressive 8-3-1 home record. Good goaltending will (as so often) be an important key to win this game. Ryan Miller has had a great start to his Canucks career, but I have to give the Pens the advantage here. 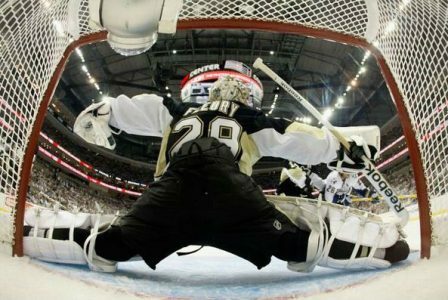 Miller’s 3.28 GAA against the Penguins is his third-worst mark against any team and he has conceded seven goals over his last two games. Marc-Andre Fleury on the other hand has won four straight against Vancouver and is coming off a 1-0 victory against the Devils, his fifth shutout for the season and more than any other goaltender in the league.